Why would I need self storage in Pensacola, FL? There are a variety of reasons why you might need self-storage in Pensacola, FL. How much is a storage unit in Pensacola, FL? The cheapest storage unit in Pensacola, FL is $34.00 per month. What size storage units do you have available in Pensacola, FL? In Pensacola, FL we have sizes that range from 5'x5' to 10'x25' to suit your storage needs. How much is it for a 5'x5' storage unit in Pensacola, FL? The cheapest 5'x5' storage unit in Pensacola, FL is $36.00 per month. Pensacola is located at the westernmost point of Florida's Panhandle and is a major sea port on Pensacola Bay. It's home to more than 10 distinct beach areas as well as plenty of inland attractions, including art galleries, museums, shopping outlets and restaurants. Because of the city's strategic sea-port location, a large U.S. naval air station was established there in the mid-1800s, the first of its kind in the country. Pensacola is known as The City of Five Flags, because it has been ruled by five different governments during its existence, changing hands several times over the centuries. Pensacola is considered a laid-back community with an easy-going lifestyle and access to many amenities. Thanks to its many beaches, Pensacola makes it easy to take full advantage of Florida's famously sunny climate. The city is also a popular tourist destination, drawing thousands of people with its local attractions and city events, including the Pensacola Seafood Festival and the Pensacola Crawfish Festival. Pensacola's downtown area includes Palafox Street, which has been named one of the American Planning Association's 10 Greatest Streets in America. It's lined with a mix of small local establishments and large shopping destinations as well as coffee houses, restaurants and other businesses. Access to great amenities, a low cost of living and beautiful weather all attract a number of new residents to this town every year. You're never far from a fitness center, public park or library, and you'll generally pay much less for essentials like transportation, real estate and health care than you will in other U.S. cities. Pensacola has a thriving economy that provides a variety of job prospects. Also, you have the option of an easy commute to several other neighboring cities, each of which has plenty of job options of its own. The tourism industry is one of the strongest in the city, with thousands of jobs provided by Pensacola's hotels and tourist attractions. You might also find jobs with the military as well as in the retail, hospitality, engineering, manufacturing and real estate industries. The Escambia County School District serves Pensacola children in pre-kindergarten through 12th grade. The campuses in the district include elementary, middle and high schools as well as alternative schools. If you're considering a private education for your child, the local campuses include Catholic and Christian-based programs. Pensacola State College, Pensacola Christian College and the University of West Florida provide a variety of degree programs, making it easy to pursue higher education in your home city. Utilities: Emerald Coast Utilities Authority facilitates water and sewer services. The city's major energy provider is Gulf Power. Garbage and Recycling: The city collects trash and recyclables for most residential communities, with curbside collection for single-family homes. Transportation: Escambia County Area Transit provides bus service, including routes to the neighboring community of Gulf Breeze. Pensacola has a variety of housing options, ranging from restored historic homes to newly-constructed, modern dwellings. Many homes come with very affordable price tags, though you'll also find high-end options if that's your preference. Condominiums and townhouses flourish in this town thanks to the high population of retirees and singles. 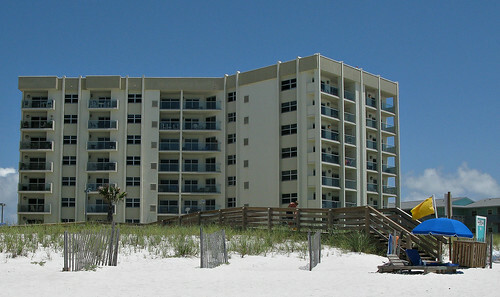 Our lowest priced units in Pensacola, FL average $37.75 per month. 211 people have reserved units in Pensacola, FL in the past 30 days. There are 4 locations within Pensacola, FL's city limits. There are 3 locations in Pensacola, FL that offer AC and Heating features.